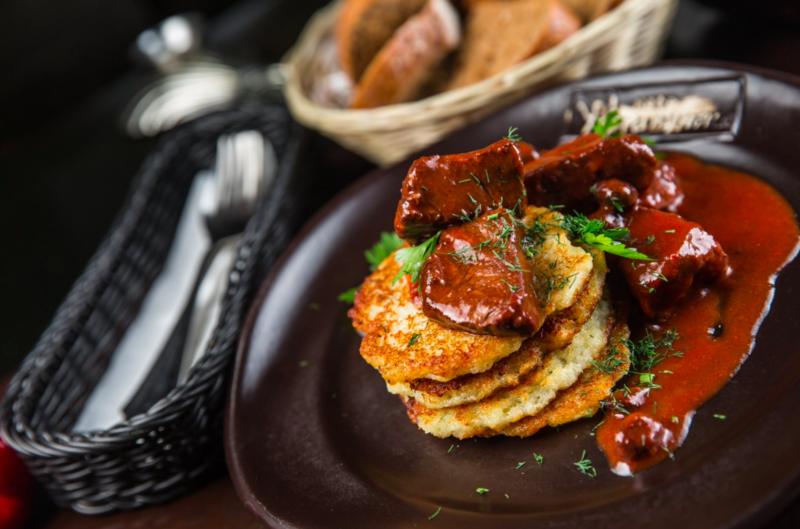 When you travel to Belarus and to Minsk, in particular, you should definitely try traditional dishes from the national Belarusian cuisine and enjoy them in the top local restaurants and cafés. At the same time, there are also many great restaurants and cafes to have a great meal and try the best dishes ranging from European to Asian cuisine. 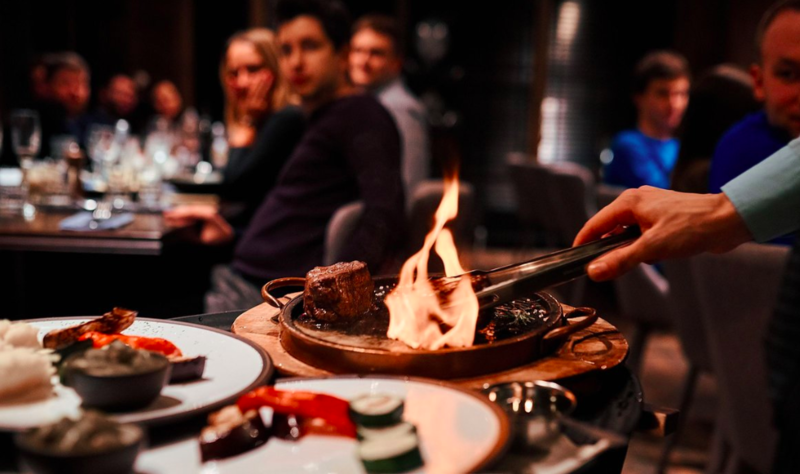 We asked our MeetnGreeter in Minsk and a real restaurant expert Masha to make a list of the best authentic, high-end and cheap restaurants, where you can try delicious meals and have a business lunch with your colleagues and partners. And in case you need a gastronomic tour in Minsk or a list of restaurants tailored specifically to your needs and budget, feel free to contact Masha and she’ll take care of all the food management. And now let’s delve into details! Simple is a pretty new and a very stylish restaurant of modern Belarusian cuisine. 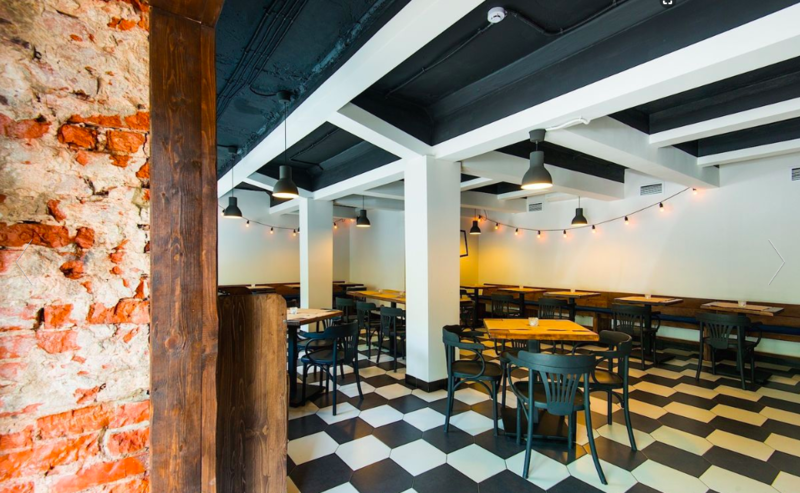 The dishes in Simple are all about well-thought-out ingredient combinations and a mix of traditional Belarusian and high-end cuisine, which, on top of that, are very elegantly served. The chef has all the modern methods of cooking at his disposal, and the sommelier has collected wines from best wineries of the world, and if you are fond of Scandinavian minimalism, then you’ll love the atmosphere of this restaurant, too. 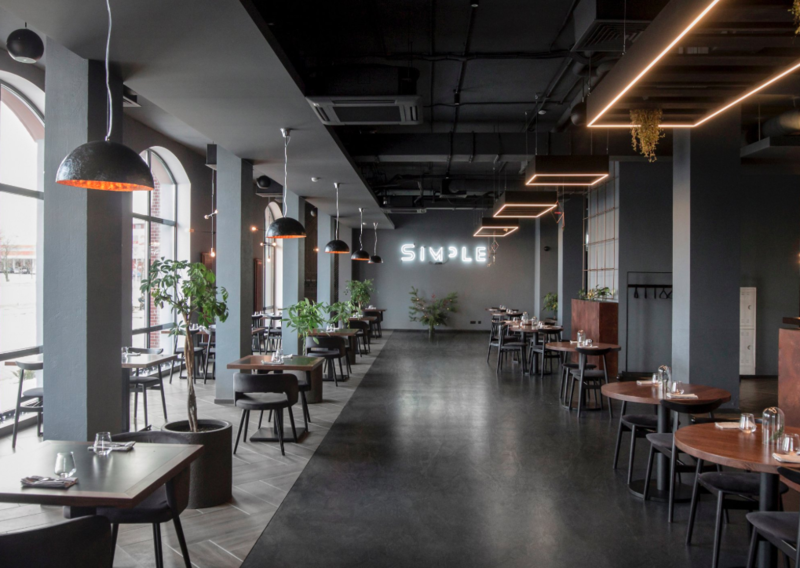 Simple is located on Lenina street, 50, within walking distance to Oktyabrskaya street, the most vibrant streets in Minsk with murals and numerous bars, galleries, and community spaces. 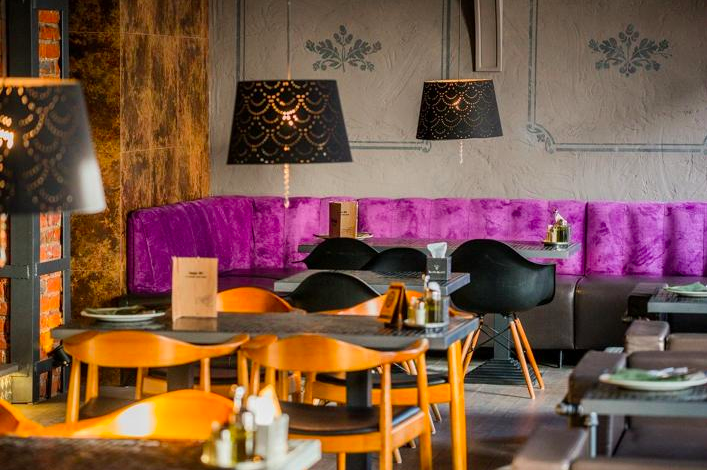 Vasilki (Васiлькi) is a chain of restaurants serving Belarusian food of good quality, with relatively low prices for dishes, high standards of service and a very cozy interior. Whether you are looking for a tasty breakfast, lunch or dinner, whether you are in a company of friends or with your business partners, it is a good option if you want to eat in the city center. 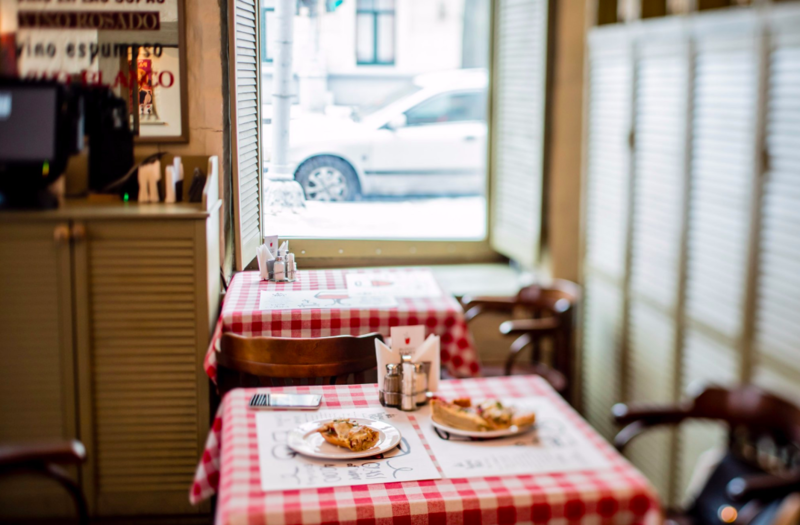 Waiters in traditional clothing, interior like in an old wooden house somewhere in the countryside and homemade tasty food – this is what Minsk locals and travelers appreciate. Where it is located: one can find Vasilki in the Galileo mall next to the railway station, two restaurants on the main street in Minsk – Nezalezhnastsi Ave. (buildings 16 and 89) and not far from Akademia Navuk underground station at Kolasa str., 37. Another great and famous café is U Franziska (У Франциска). Along with Belarusian cuisine, they serve various dishes from European cuisine. They offer many dishes with meat, vegetarian food, salads, cold dishes, soups, desserts, appetizers, and alcohol. Where it is located: just at the heart of Minsk – Nezalezhnastsi Ave. 19. There is another Belarusian national cuisine restaurant in Minsk which deserves visiting it – Talaka (Талака). Many local people advise this restaurant to international guests because of the cozy traditional interior and great food. Try it yourself! Where it is located: the restaurant is situated near Niamiha street (exact address: Rakovskaya street 18) which is a busy area in the city that preserves architecture monuments and the oldest buildings in Minsk. If you want to feel the real rural life in Belarus, then definitely go to Dedova Korchma (Дзедава Карчма). 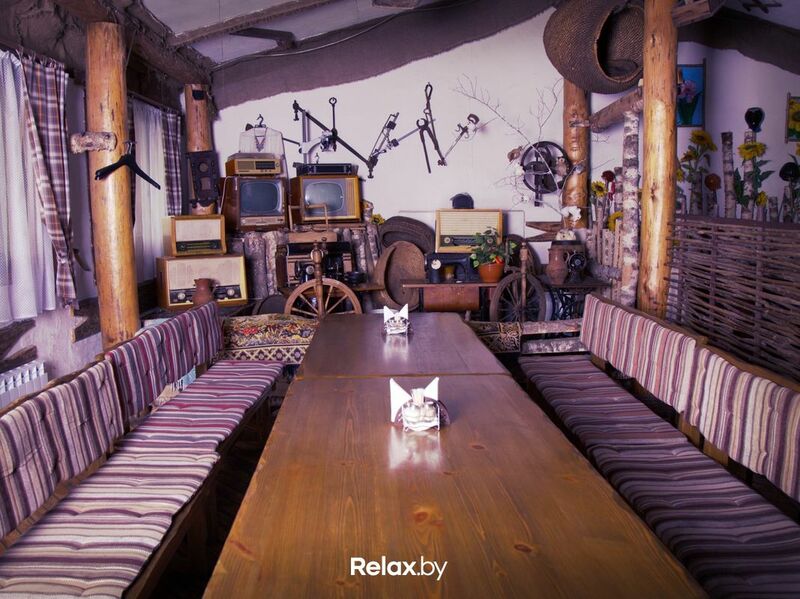 This cafe is located outside Minsk some 20 minutes from the city center and it has everything to let you feel what it was like to live, eat and have fun in a Belarusian village. In addition to the café with authentic interior and exterior resembling a 19th-century countryside house, Dedova Korchma offers to its guests to take a traditional steam bath, hold dinners in its banquet hall, swim in the pool, play snooker, football, volleyball or badminton and to make a barbecue party. After that, you can stay in a one- or two-storey house located right there next to the café and the bath-house. Probably, there’s nothing more authentic than Dedova Korchma! Where it is located: so you’ve made up your mind now? Save the address: 19th km road P1 Minsk-Dzerzhinsk, 222750 Volkovichi, Belarus, we are sure you’ll like it! 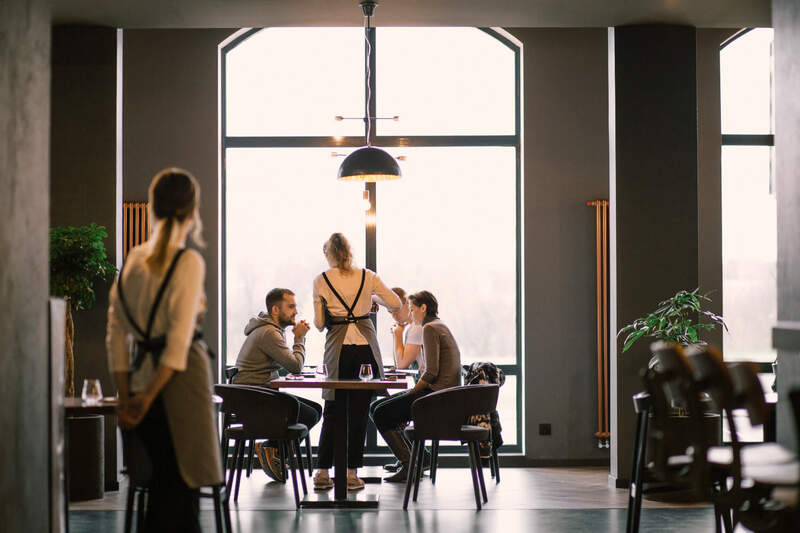 For those who do not have time for a journey outside the city, Minsk has prepared many other good cafes and restaurants where you’ll find a hearty welcome and yummy food. Among such restaurants, you should visit Kamyanitsa (“Камянiца”), Kuhmistr (“Кухмiстр”), Gostinyj Dvor (“Гостиный двор”). They are all great places both regarding their menu, and their location. Once you are sated with Belarusian cuisine, you may look for some other options. Luckily, Minsk is well prepared for your travel to Belarus and now has a lot of cafes and restaurants for any taste and budget. 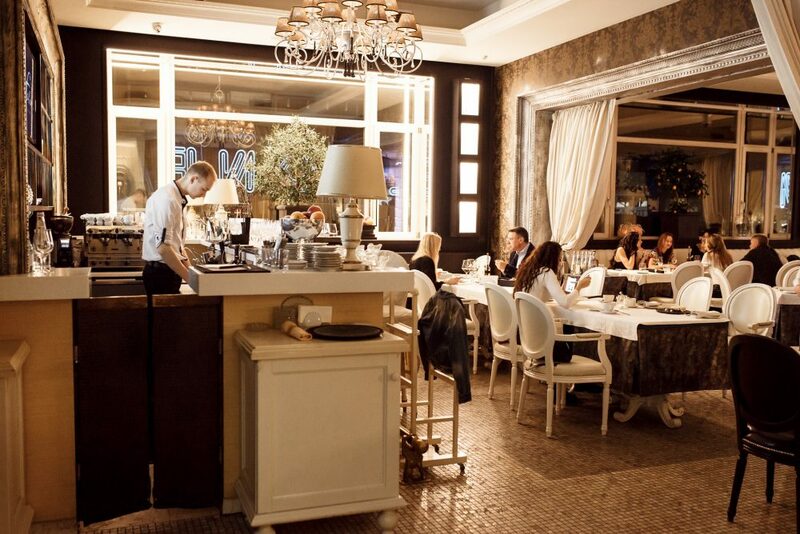 Let’s have a look at the best high-end cafes and restaurants in Minsk. They are all located in the city center and they all offer delicious food and good service. The menu in Café Netto mainly consists of dishes with grilled meat. 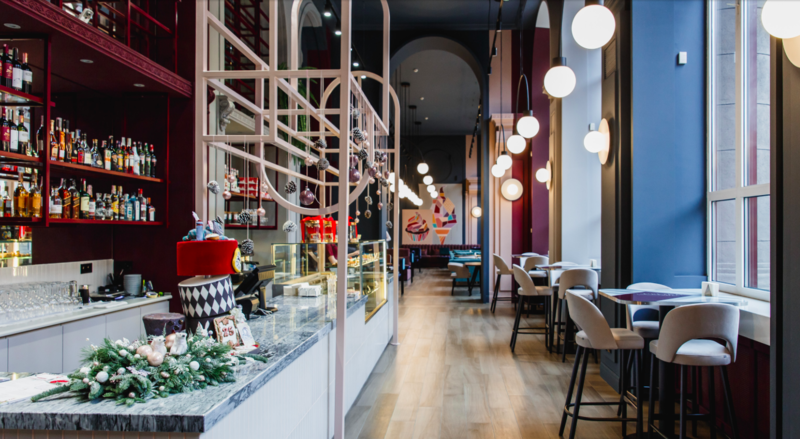 Inside the café, you can watch your order being cooked in the interior resembling the urban style of the 50s. Grill is used in 95 percent of all the dishes on the café’s menu, for example, they grill meat for salads. 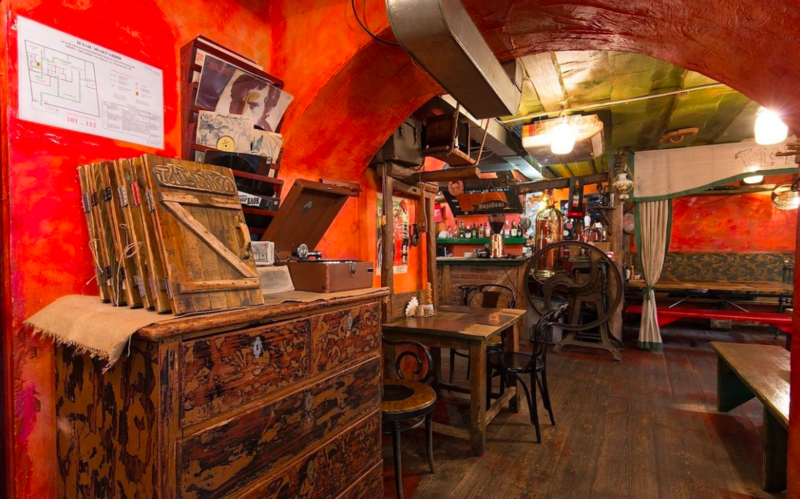 On the weekend you should visit Café Netto for a dinner to live bands playing music. Moreover, every two weeks they prepare a special menu dedicated to a certain country, for example, Spanish menu, USSR menu, etc. For MeetnGreetMe blog readers, Café Netto has prepared a special offer. Download the picture below or make a screenshot of it and receive a free americano. Simply show this picture to your waiter and enjoy your coffee in Café Netto! Where it is located: Café Netto is situated in the city centre near Victory square. The exact address is Krasnaya str. 13. 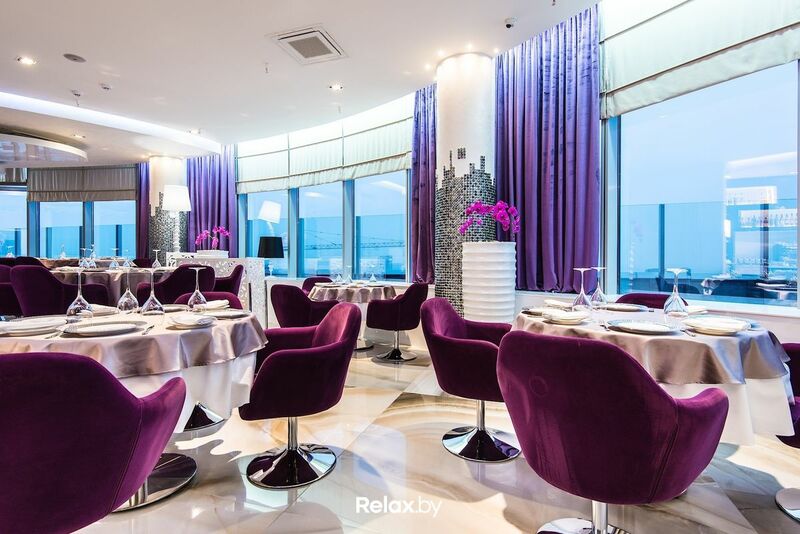 The View is one of the most extraordinary restaurants in Minsk. Why? First of all, because it is situated on the 28th floor of a new skyscraper in Niamiha area. This is a new place where you can enjoy an amazing panorama of the Svislach river, the Trinity suburb, and generally of Minsk. This is a great plus for the restaurant. Also, it has quite an extraordinary interior full of white and silver gloss, violet and fuchsia furniture and overall atmosphere of luxury and pathos (which can look too posh for some). Where it is located: Pobediteley ave 7A, on the 28th floor. Just go up in a glass elevator and enjoy the view. La Crête d’Or is a French cuisine restaurant and cafe on Lenin street. They have amazing confectionaries and cakes (by the way, all are mega tasty, natural and handmade). It is a great place for a quiet time alone or a date with your dear one. La Crête d’Or is also waiting for you if you want something more substantial: the restaurant’s French chef will do his best to make you go wow after scallops with foie gras, carpaccio, and other delicacies. Where it is located: just in the city centre on Lenina str. 3. All Italian cuisine lovers will be happy to know that in Minsk there is a restaurant of high Italian cuisine which is the first restaurant in Belarus listed in the world Baedekers to Italian restaurants recommended by the Italian Chefs Federation (FIC). This restaurant is called Falcone. Falcone has also a VIP-room and a special room for fests with children. Where it is located: you will find Falcone restaurant at Karalya street, 9. Another Italian restaurant in Minsk is called Feelini. Really good cuisine grabs all its visitors and does not allow anybody to stay indifferent after amazing risottos, steaks, and pasta. Where it is located: is located at Internacyjanalnaya street, 36 between Zybitskaya street and Independence Avenue. In Minsk, there are many really good cafes with exceptional service, pleasant relaxing atmosphere, and great food. These are Bistro de Luxe, Café de Paris and Grand Café. They are all great places to visit in Minsk whenever you are hungry. As for prices in the above-mentioned places, they are quite high as these restaurants are top class. For a budget meal, you don’t have to go exclusively to McDonald’s, Burger King or KFC. 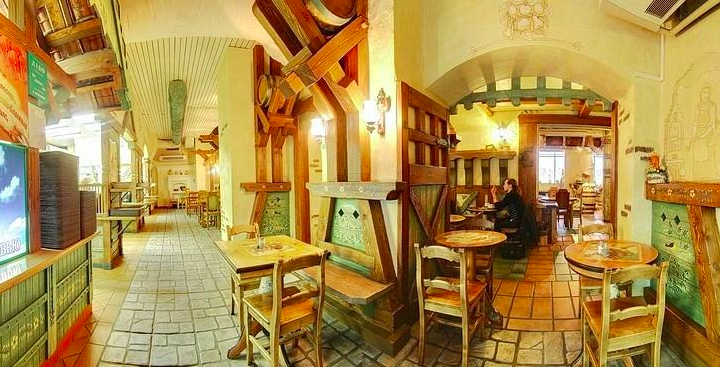 Minsk has a lot of cheap cafes that invite visitors to a delicious meal at a reasonable price. Depo (Дэпо) is a hipster-style café with pancakes and cider. There are two Depos in Minsk actually and both are located on streets popular among young people: Zybitskaya and Kastrychnitskaya streets. Other same style cafes are Lauka (Лаўка) and Enzo café, both neighboring Depo on Kastrychnitskaya street. Where it is located: Depo cafe is situated at Oktyabrskaya str. 23 and Zybitskaya str. 6. Spanish cuisine, the atmosphere of hospitality, relaxing music and absolutely delicious food – you will find everything in Tapas bar (Тапас). Where it is located: the exact address would be Internatsionalnaya 9. It’s a quite interesting district in the capital, so make sure you stroll along the streets here and drop in at a few other places. For those who are looking for traditional Belarusian cuisine in a restaurant with a cheap menu, Lido (Лiдо) is a great option. It is a chain of fast food restaurants specializing in national cuisine, traditional cozy interior and low prices. Located on Yakub Kolas Square, it is always full of visitors: students, families, international travelers, and those who are having a business lunch. Where it is located: there are a few Lidos in Minsk. One you can find on Kulman str 5A, and another one is situated on Nezavisimosti ave 49. In Minsk, there are so many cafes and restaurants that you may get lost in this great variety of places to visit. We hope that this small Minsk food travel guide will help you to pick the venue you will like. Oh, and remember that if you need any assistance or advice, like meeting upon arrival, information support, assisting at the conference, organizing events, translating or helping with shopping, in Minsk or in any location in more than 500 cities around the world, MeetnGreetMe local personal assistants are always more than happy to help you out and saturate your stay with pleasant moments. Have a great time in Minsk and welcome to Belarus!